A pilot community physiotherapy programme, which treated people with chronic pain who were affected by Northern Ireland’s past conflict, scooped the overall winner award, as well as triumphing in the Innovation and Creativity category. Francis McMonagle, a specialist musculoskeletal (MSK) physiotherapist at Belfast Health and Social Care Trust, ran the pilot service with Irene Sherry, head of victims and mental health services at Ashton Community Trust’s Bridge of Hope department. The nine-month programme, which ended in April this year, allowed individuals with persistent pain, who were physically or psychologically affected by the conflict, to self-refer to the service or be referred by friends, family or health professionals. 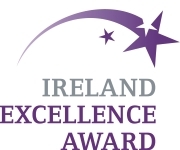 Mr McMonagle told Frontline: ‘We were delighted to see the project recognised, especially considering the quality of all the other finalists. ‘One of the big things we were trying to do with the project is raise awareness of the link between psychological trauma and chronic pain. Because there is generally poor recognition of the links between psychological trauma/traumatic stress and the knock on effects on physical health. ‘We are hoping we can get funding to make the programme a permanent and regional service, because it is much needed. The judges said the project showed that ‘world class quality care does not need to be complex’. Meanwhile, Belfast Health and Social Care Trust’s clinical lead physio Thamra Ayton and advanced practitioner physio Alison Robinson triumphed in the Leadership and Innovation in Cancer Rehabilitation category. They won the award for their pre-hab service for prostate cancer patients, which the judges praised as the first of its kind in the UK. During the 18-month pilot the physios developed a referral pathway, a pre-hab screening and education service and an intensive therapy clinic, which helped patients with prostate cancer to achieve lower post-operative incontinence scores and gain a better quality of life. And two other physios were finalists in the same category. Jane Rankin, lead physio at Belfast’s Cancer Centre and Laura Henry, breast cancer lead physiotherapist at Belfast Health and Social Care Trust, were recognised for their multi-professional breast cancer pre-hab initiative. Physiotherapists were also finalists for the Department of Health Northern Ireland award for transforming the workforce. Physio Paul Kodiyan and lead occupational therapist Denise Curran were finalists, in recognition of the work of Southern Health and Social Care Trust’s allied health professionals intervention in the acute care at home team. And Belfast Health and Social Care Trust’s clinical specialist physiotherapists for orthopaedic spine, Gillian Graham and Eilish Simpson, were shortlisted for their work in redesigning the regional spinal orthopaedic service in Northern Ireland. Three other physiotherapists were also finalists in the innovation and creativity category. Peter McCormick, an emergency physiotherapy practitioner at Western Health and Social Care Trust, was recognised for developing the physiotherapy provision for acute MSK injuries in an emergency department setting. And clinical research fellow Katherine O’Neill and Judy Bradley, professor in physiotherapy at Queen’s University Belfast, were praised for their use of innovative technology to assess respiratory health. Meanwhile, a direct access physiotherapy service was a runner up in the Building Capacity in Communities and Prevention category. Stephen McGarrigle, clinical team lead and Aveen McCraith, professional lead physio at South Eastern Health and Social Care Trust, head the service.